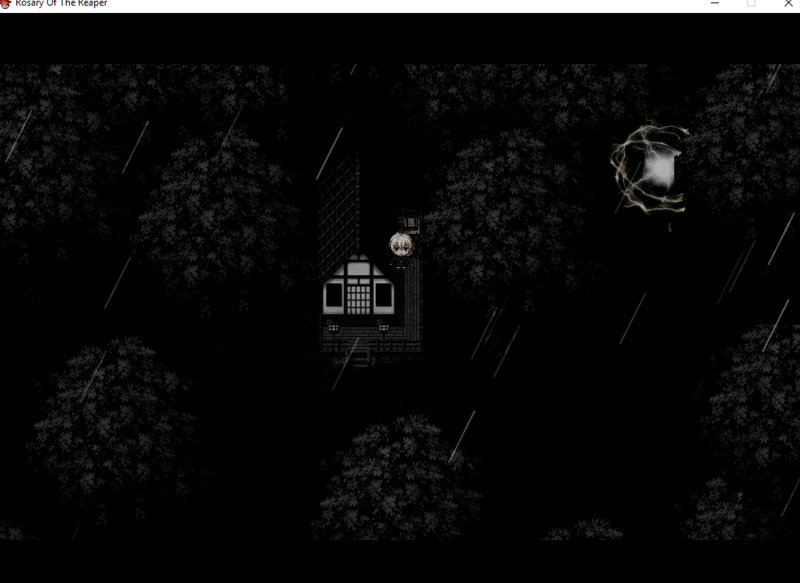 Rosary Of The Reaper is an in-progress RPG Maker Horror Game following the story of Kanna Izaki. Kanna Izaki, an epileptic Pennsylvanian schoolgirl, is in the center of many strange happenings in her city, Mainville. With many people mysteriously and violently dying seemingly out of nowhere, everyone is in panic, and nobody knows what's happening and how to stop the gruesome deaths. Meanwhile, Kanna herself is dealing with a worsening epilepsy, with her attacks becoming more and more frequent and harmful. More worrying, Kanna frequently recalls being told in dreams that the world is going to end soon, a forewarning she finds unsettling. Everything becomes far, far worse on the day of Kanna's eighteenth birthday. And from that day on, her life will be changed, forever. So, recently it's come to my attention that the download I recently uploaded wasn't properly packed. 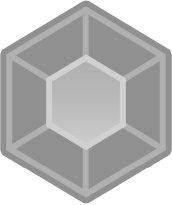 I went ahead and fixed that issue, along with making some minor adjustments to the game itself. "You want to play with me? If so, I'll play with you, too." I think it's awesome that something people bust their brains trying to prevent (out-of-view events) is something you're embracing and using to your game's advantage. Best wishes with this one. It looks very interesting, can't wait for it to come out. I will keep an eye on this And try to be one of the first five to download it. Hooooooooooooly crap this just might be the longest post I've ever made on these forums. Sorry about that but really there's a lot to say. There's a couple of problems right out of the gate. First off, an 818mb download for a demo is terrible. No need to rush it. Compress those .wav files. I don't have a download cap and my drives all have plenty of space but it just looks bad on you as a dev. It makes you look lazy and/or uncaring. Worse yet, as the recent Pocket Mirror shows us some people just won't download this because of the size. I'll just put the rest in a big spoiler tag because it's littered with them and would be too annoying to read if I tagged them individually. Warning, it's really long. The second problem I noticed was the font size. It's smaller than the default Windows font, which should never be. For games the OS font size should be your minimum. Since you have so much extra space in your text box due to widescreen you shouldn't have to worry about running out of room. This is cropped but not resized of the game in windowed mode for me http://i.imgur.com/6kzTprV.png Hopefully you see the problem. If anyone else's game doesn't look like this then please let us know. God knows RM has been misbehaving on me a lot since I switched my OS. I love the faux ESRB logo. I did that in one of my test games and it's something that always cracks me up. A buddy of mine is making a game that uses your region to put up a faux ESRB/PEGI/CERO rating depending on your computer's settings. Ratings board logos FTW. A quick, easy, non-spoiler way to tell people there's going to be blood. The music is fantastic. I know it's a ripped OST but your choices of when to use the tracks are solid. Remember to credit the sources. Playing a truly widescreen RM game made with VXA is pretty impressive. The one I'm making is in a little less than 720p too but I'm using MV so it's a much less complicated affair. My hat's off to you for winning that battle. I also appreciate that you were smart and didn't try and force the standard 1280x720, since that's not RM-compliant and it's what gave most people headaches when the modified DLL thing was going around. The character art has good emotion. The combination of the rain, rain sounds and the art really drives the scene. Thankfully the rain sound is without thunder. Intentional or not, I always hate in when people use a thunderstorm to convey despair instead of a rainstorm. Rainstorm = despair, introspection, sacrifice. Thunderstorm = danger, adventure, change. I didn't test thoroughly but walking behind the branches seems ok. I'm unsure if you intend for us to be able to walk on logs and rocks but this big rock certainly doesn't look like it should be walked on. http://i.imgur.com/GhlfHGX.jpg Yanfly makes a pretty good script called something like Restrict Region which might solve that. Red haired girl "Why are you acting soo... strange?" Might be intentional to drag out the "so". Really nice audio clip here. I use it one too. I might have not seen it properly but did the cement around red-hair crack and if so I think the animation shows over her sprite. Not really much you can do about that except move it/re-draw it so it strategically avoids her head. You're a bit inconsistent with your ellipses. Sometimes it's only two dots, sometimes three. For the Kanna portion the performance seems ok but I'm not a good person to test that. You'll really want more sample players. I hope they come. Some of the invisible barriers here are kind of annoying. Maybe just leave it freeroam and let the trees and screen edge be the boarder? The correct path is abundantly clear. No chance of players saying they didn't know where exits were. "Your in Quadrant 6." people will always call you out on that. Wow I just noticed you have 8-directional movement. SWEET! http://i.imgur.com/XxfdFBv.png got stuck in some trees and could wander off the map but I managed to get free. Also, if you enter the bridge from the top the leaping tutorial keeps playing as you walk down. It may be worth it to put them all on a switch so triggering any of them will deactivate all of them. That is unless you intend to keep the tutorial there for the really dumb players. The same thing with walking on the trees happens on the right side of the map. And on the next map you walk on some of that house. http://i.imgur.com/NJDNxG8.png I'll put how I get around this in a headlined section near the end of my post. It's a lot of work but it's so worth it. Also whatever is on this map (I doubt it's just that animation in the corner) tanked the framerate to 12-13fps. That rain sound is amazing. Likely the best I've ever heard and I have dozens stashed away. I absolutely LOVE that you use major and minor cutscenes. People in RM usually only use major (where you lose complete control all the time). Being able to approach the girl as she left her house was a nice little touch. "I remember blacking out while I Was getting ready for something"
Inside the... house... you can walk on the tables and your hair clips on the wall. Again, more on that towards the end. You can walk right through the couch but couches in RM are evil. I love that the rug is tussled though. You walk under the entire fountain in the place where you can fall through the floor. About your trap puzzle to get the black key, I don't understand it. You walk on the chipped floor tiles, you die. I get that. Or at least all the ones I stepped on killed me... except for one. In the bottom hallway it looks like there's no way through without stepping on a chipped tile. I tried to walk diagonal between the two deathtraps and walked straight up by accident... and didn't die. I could also pass this one on the way back. Sadly that's as far as I made it. 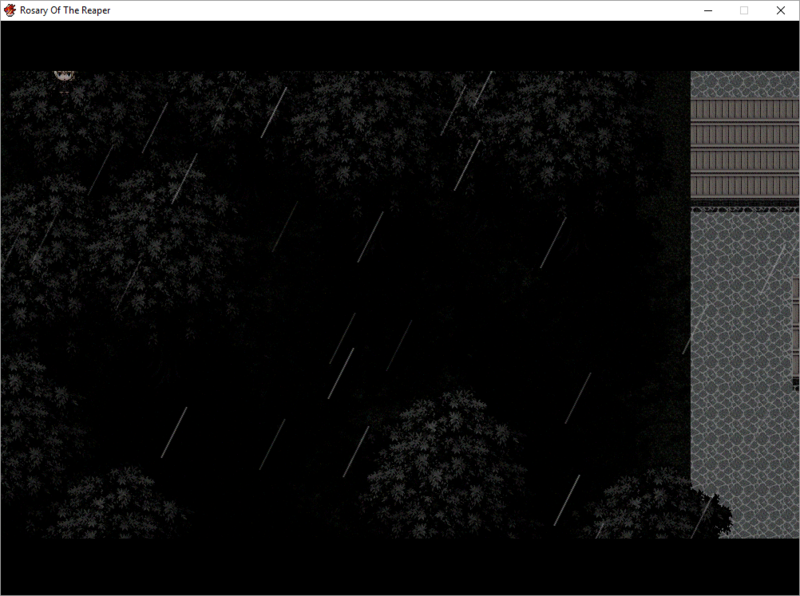 I need to solve my fullscreen problem before I can go any further because windowed it's just too hard for me to see the trap tiles. I died a lot in this room and it got frustrating. No fault of yours. I'll get back to it after some research. This post is long enough as-is. 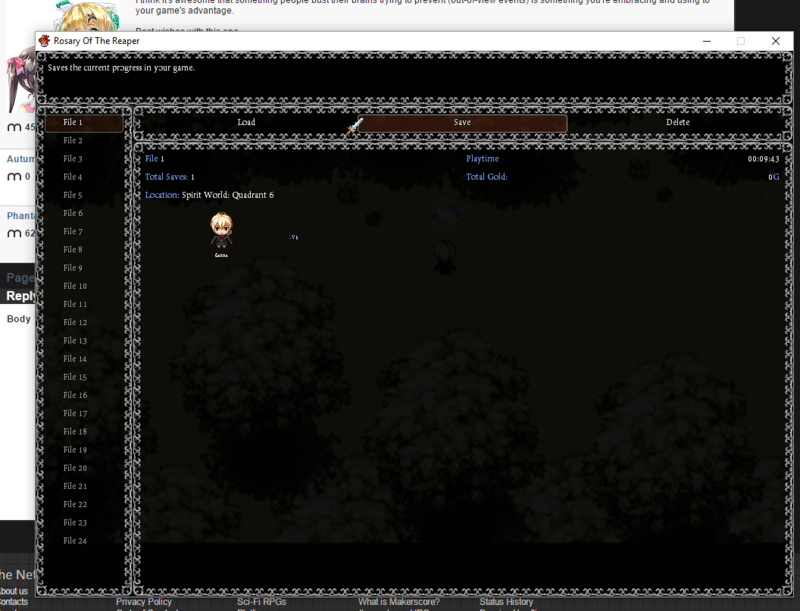 Using parallax backgrounds, overlay, regular tiles and Yanfly's region restrict or whatever it's called. Since tiles behave independently of how they look I plan each map in layers. Stuff the player will walk on, stuff they walk under and stuff they can never share space with. Sounds like the usual RM stuff. Anything they can walk on is part of the parallax. Anything they walk under is a regular tile. Anything they can't share a space with is a parallax with a restricted region square on it. I do this instead of passable invisible tiles because I still use normal tiles too. So for example a tree will be made up of parts of all 3. It's LOADS of work. You need to beta every map in the old fashioned way (meaning: beta test the proper way) and walk on every tile from every direction. You need to essentially make the same components multiple times (your tilesets will have parts of regular tiles, for example) but your players won't be running on trees like Jet Li. Yes, couches and (if applicable) bus stops will still give you a problem. I got around the couch issue by resizing it a little before I scrapped it all and made my own damn couch. Screw RM's couches. They're Satan. -I took a look through the folders to see if that awesome rain had credits in the file and... hmmm... 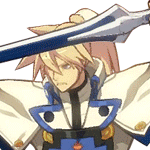 I hope you're not going to use half the clips in the SE folder in the game without further editing. Taking clips from shows and stuff has the problem of other sounds being present in the audio (like one had a scream and you could hear somebody starting to talk at the tail end). If you're swiping audio the best place to get it from is games that let you mute the BGM, SE, and some (especially Visual Novels) let you mute individual characters. Of course free legit audio is best but I'm not your mother. -I couldn't tell if text skip was enabled or not. It's like sometimes it was. -Some punctuation and grammar problems. -Unsure if walking on that deathtrap and not dying was a bug or intentional but puzzle solutions without clues are bad. -Excellent music choices. If the demo has no end credits you really should make a credits file though. -Really impressive SE, ME and BGS choices. Mike Koenig = great. -Cool "cinematic" feel with the letterbox overlay, grain and panning camera. 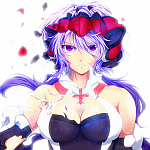 -Nice character art with appropriate expressions and poses. -I really like Kanna as a character. She's fairly unique as a horror game protag. I loved the mirror scene. It said so much about her. -That was one hell of an awesome way to start a game. -Very interesting story and setting. So yeah, I'll get back to this later but in general it needs more work but the direction it's heading in is really good. Thank you for your review and I am happy you enjoyed my game. 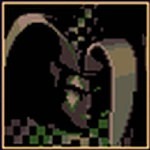 I take your review very seriously, and of course I plan on making a full credits.txt file for everyone to know where I got my music from(and other applicable resources) I've recently acquired a very talented artist and mapper, so the newest iterations will be much more fine crafted. I finally managed to fix my display issue so I can play games properly in full screen again instead of tiny little postage stamp sized. So I... finished it... I think. Are there multiple endings? The end was kind of strange and ended in a Game Over instead of a The End or Thanks for Playing or whatever so I'm not sure if I missed something when I went through the left door in the house. No, that must have been the end, though, I've been piled up with so much work that I must have forgotten to put a proper ending(mind you, up until a few days ago, I've been working solo and completed the teaser on my own entirely, which is taxing). And you mentioned something in your original post about certain sound effects. They were probably from the very first iterations of this game, when I had no idea what I was doing, but I had forgotten to take them out. Aye. Stuff gets left in games all the time. It's good to remove it if you can (just to save space, however little) but it's sometimes fun to find things. And I only went rooting around in the folders to find out about that awesome rain sound. 99.9% of players will never even know the stuff is there. Yeah, the ending of the demo is underwhelming (especially compared to that awesome opening) but I'd say the big problem is it saying Game Over instead of something more concrete like "Thanks for playing", "The End", "To Be Continued" or even just some quick credits, even if it is only one or two things. If you ever update your teaser then I recommend adding a more cliffhanger-style ending to it that reminds the player that more is coming. This seems interesting also the art is Fabulous so i'll be looking forward to it.....Btw did you draw those photos? I have a team of three, including myself, which I assembled recently, which handles development. I have two other people handling everything you could call art, and I make everything else. The bad apple doesn't fall far from the bad tree, doesn't it? Hi! I liked your game and I want to know when the first chapter will be released? And, if possible, the other chapters too (release date). This game can have a sequel? I hope you don't mind me saying this, but the description of the game is rather hard to read, even with the brightness on my monitor turned all the way up! Is there a plain text version of the description you can put in for easier reading & highlighting? 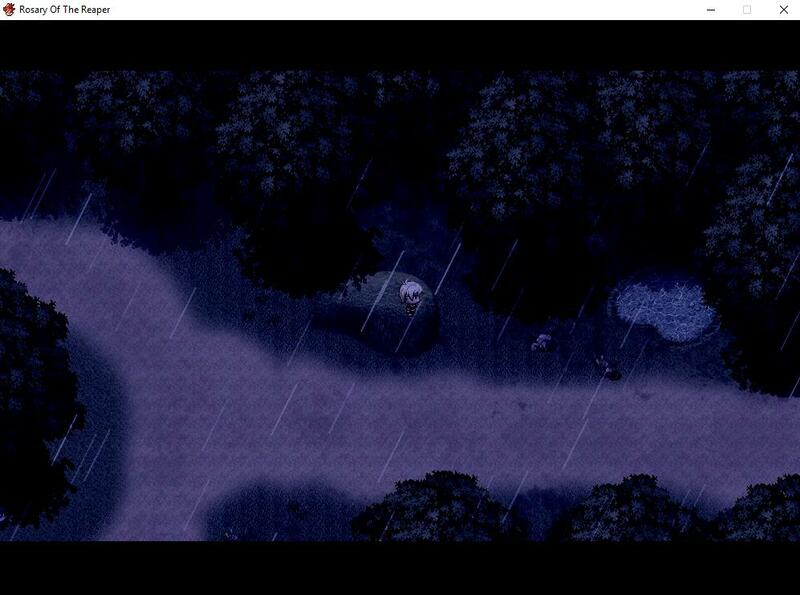 "Rosary of the Reaper is an anime inspired horror fantasy game with a vast and diverse landscape. This includes the Human Realm or Gaia and the Spirit World or Mu. In this game, you play as fifteen year old Kanna Izaki, a young girl who finds herself awoken in a mysterious and foreboding forest within the Spirit World. Meanwhile back in the Human World a tragedy has occurred with Kanna's best friend Celine, in serious danger. Kanna who has no memory of the past 10 hours must find answers both about how she ended up where she is now and about the nature of her very own existence. Playing as Kanna Izaki, you will meet new and otherworldly beings, explore many different realms and areas, and learn many things about yourself, and the world around you. One of these such areas is Quadrant 7, a land teeming with intelligent entities, who may not be much different from humans as we've come to believe of them. This game contains heavy gore, and includes certain subjects and subplots which may be unsettling to some, discretion advised."